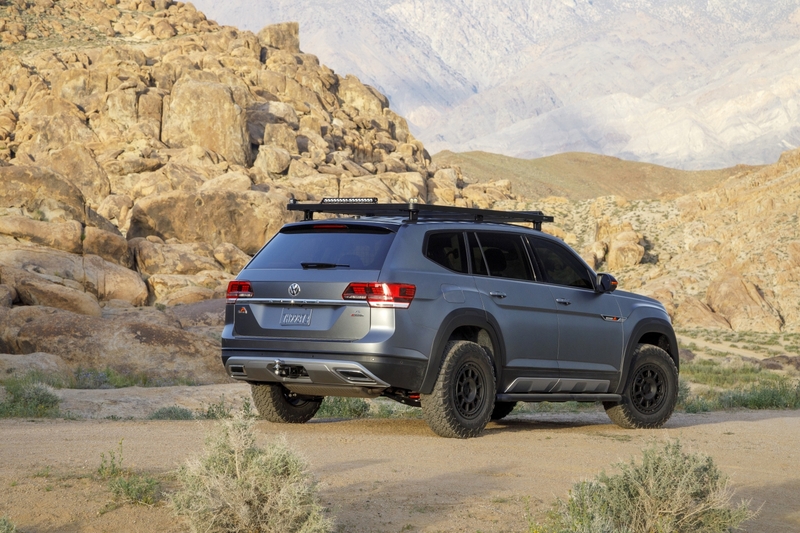 Not exactly the first brand to come to mind when one thinks of beefy and rugged off-road vehicles, Volkswagen is bringing a lifted, outdoor-ready version of its Atlas SUV to next week's New York International Auto Show. 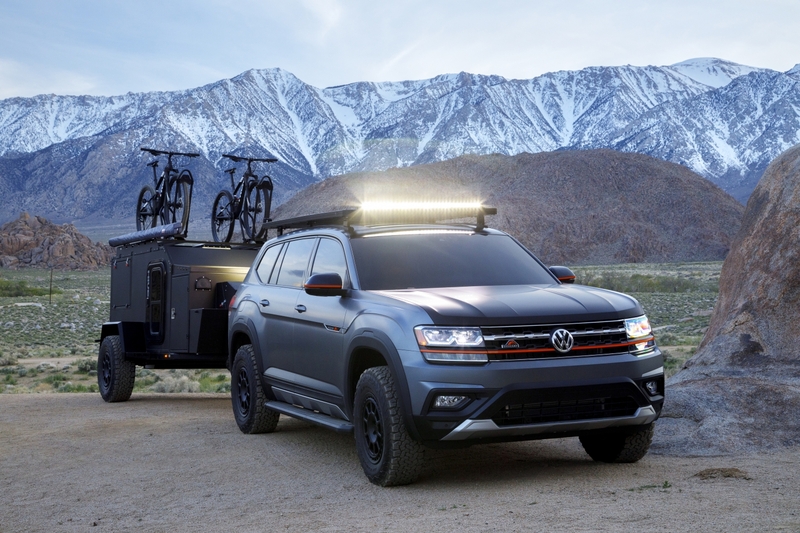 It's called the Atlas Basecamp Concept and it was penned by VW exterior design manager Alex Earle who, in addition to managing what Volkswagens look like, happens to be an avid cyclist. Alas, the Basecamp's roof rack and matching Hive EX trailer has dedicated spots for bicycles. 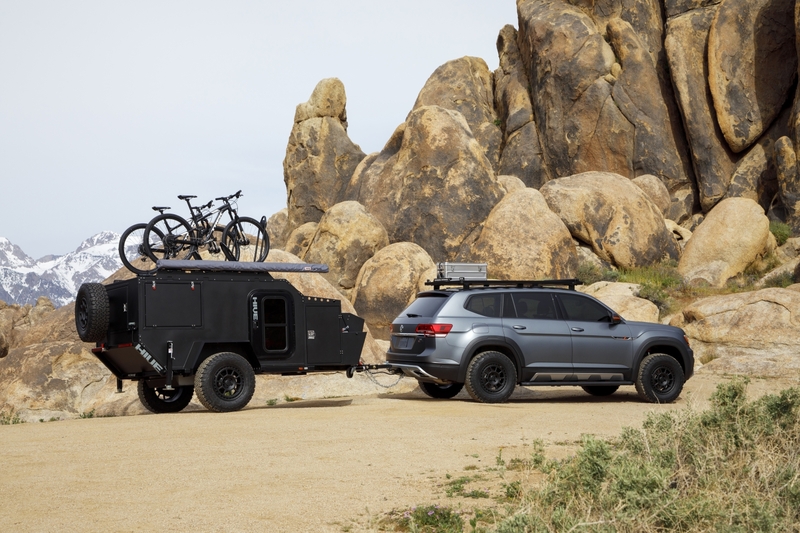 "The Basecamp Concept brings a go-anywhere attitude to the brand that is already synonymous with road-trip culture," said Earle. 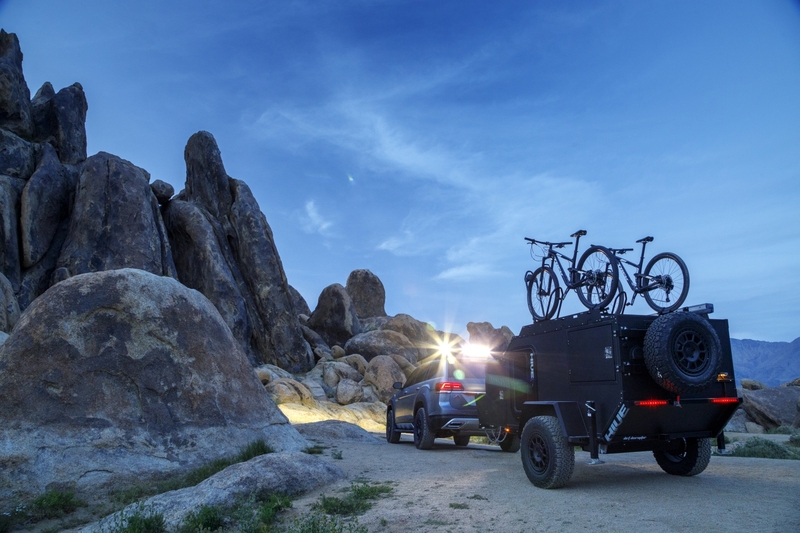 "Whether you are taking on a series of challenging single-tracks with your favorite mountain bike or enjoying a relaxing evening under the night sky, the versatility of the Basecamp Concept provides ideal mobile solutions for just about any adventure." Finished in nuclear apocalypse matte gray, the Atlas Basecamp features a custom Air Design body kit, an H&R lift kit with coilovers that raises the suspension by 1.5 inches, super bright off-road LED light bars front and back, and some orange accents. 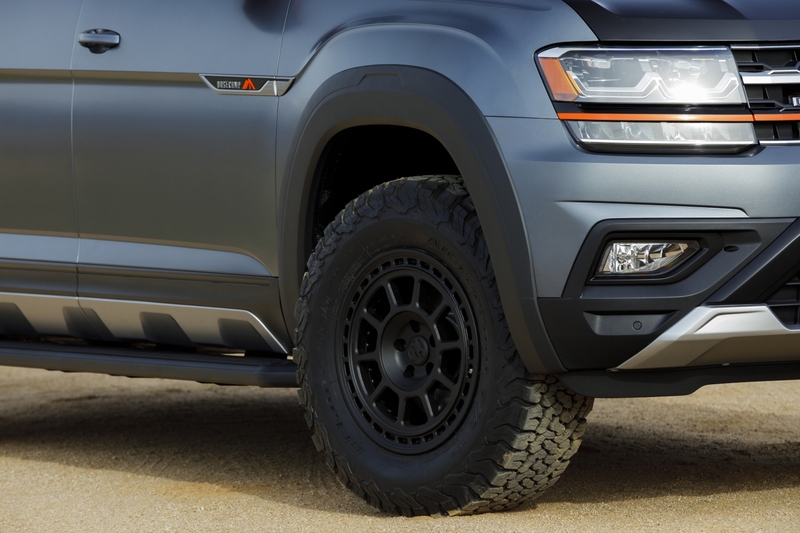 Its 17-inch all-terrain tires are wrapped around Fifteen52 Traverse MX Concept wheels, a set of aftermarket rollers that'll apparently be available this fall. That aforementioned Hive EX trailer packs a queen-size bed, pullout canopy, stove, sink, fridge, freezer, self-contained water tank, propane tank, portable toilet, shower, and removable leveling jacks. Forget the apocalypse—the Basecamp Concept just might be the Volkswagen you need for a serious-enough real estate bubble. 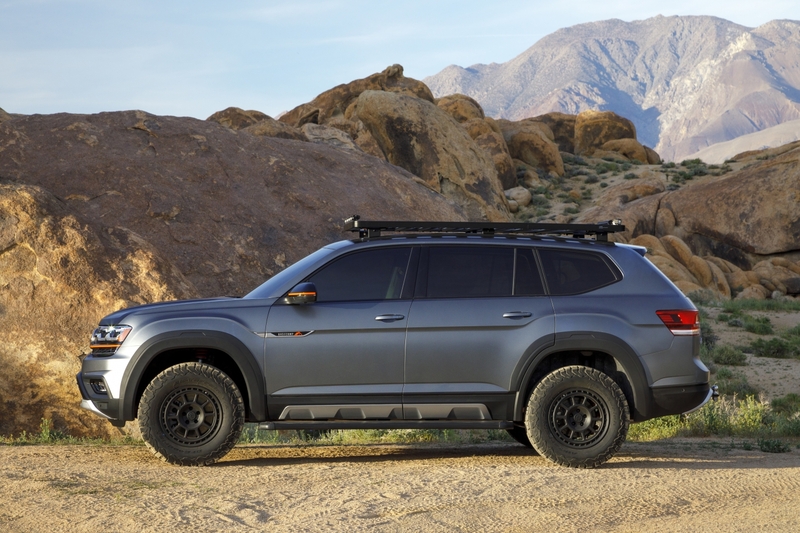 The Volkswagen Atlas Basecamp Concept is based on an Atlas SEL Premium which means it gets a 276-horsepower, 3.6-liter VR6 mated to an eight-speed auto and all-wheel drive. In addition to the 2019 NYIAS, it will be attending SEMA in November.